Figures on this page include data from non-Reclamation sources! 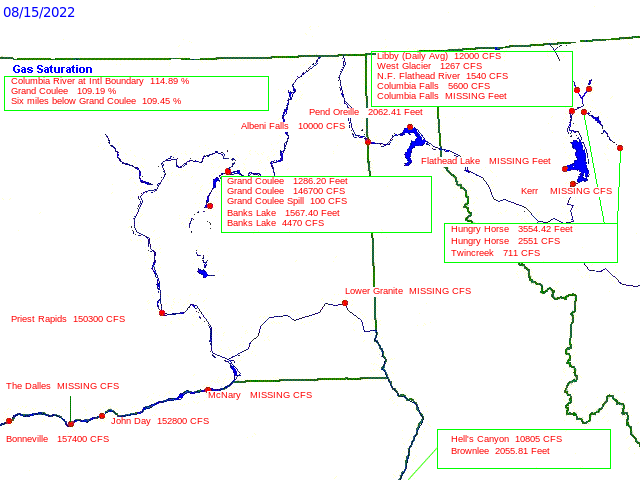 Data values indicate reservoir elevations at midnight and average daily streamflows for date on diagram. Click on station titles for hydrographs; hourly-data hydrographs available for Reclamation stations only.